And we're back for a real post this time! Posts are going to be slightly more spaced out for the next few weeks as we have a lot going on at the moment. Nonetheless, there is always time to sit and enjoy tea (it's writing these that takes up quite a bit of time!). Thankfully, the lack of posts the last few weeks has built up your expectations and I'm sure you are all expecting the best post ever....you won't be disappointed. How can I be so confident that this post is going to rock your tea socks off? Because Al and I were lucky enough to get our hands on first flush Dragonwell green tea from the West Lake region. Did I mention 'first flush'? Just in case I didn't, first flush!. Some of you might not be as excited about this as Al and I are, but let me explain why we are giddy little kids. First and foremost, Dragonwell tea is an excellent tea on it's own. Known also as Longjing (龙井) tea (茶), it comes from the Zhejin Province in China; a province known for the beautiful West Lake and surrounding gardens, not far from Shanghai on China's east side. The young tender buds and leaves are very carefully and meticulously hand-picked, dried, and then pan friend to produce fragile sparrow-tongue shaped leaves which result in a gentle, rich, toasty, and chestnut like brew. Once lovingly steeped, the straw/amber coloured liquor can be sipped all afternoon while reading a book, or in this case, writing about tea. A harsher tea would be slightly distracting, but longjing compliments leisurely activities beautifully (perfect for a young spring day such as today). It is arguably China's most beloved green tea and is on the top 10 list of China's most famous teas (the only teas previously enjoyed by the emperor). So far so good...now let's take it up a notch. First flush. This is what takes an excellent tea above and beyond and transforms it into a memorable life experience. First flush is the first picking of the leaves of the season making the resulting tea the finest and freshest of the season. Quantities are very scarce and expensive as the first flush is normally reserved for the higher levels of Chinese government (that's how good it is!). I was told that this year was the first year in a long time when the tea was made available to the public. A friend of mine (owner of My Cup of Tea) took advantage of this and visited his tea farm where he partook in the tea gathering and preparing process (to make for a very interesting post in the near future!). At the end of it all, he was able to bring back a small amount of first flush dragonwell tea to sell back home and offer small tastings to fellow enthusiasts. I was lucky enough to be invited where I heard all the stories and adventures that he had. More than that, I was supremely lucky enough to be given a small amount of the tea to try at home. It's been sitting on my counter all week but I wanted to make sure that I could take the time to properly enjoy it. I sectioned off my Sunday afternoon and here we are! First off, the aroma of the dry leaves is mind-boggling. I can honestly say that I have never experienced dry tea leaves that are so fragrant, fresh, and full of potential. The leaves are a straw-green colour, shaped in flat sparrow-tongues. The shape, size, and colour were consistent leaf to leaf which is already an excellent indication of it's quality. I eagerly started to prepare the water in anticipation of what would come next....I was not disappointed. The aroma of the dry leaves was nothing in comparison to the unleashed aroma when the water hit the leaves. Smelling the leaves and closing your eyes, you are taken away to a beautiful day where the sky is crystal blue, the sun is shining, and a light breeze compliments the warm air, carrying with it the promise of spring and fresh grass. The initial smell of the tea is tantalizing and an invitation to experience the brew. After patiently waiting...ok that's a lie. I have to admit that I got super excited and poured myself a cup too early which resulted in mostly water. Even with a very fast steep, I was teased with what was to come and so I put my cup down and patiently waited the proper amount of time before pouring myself a second cup. The wait, though it seemed like hours due to my excitement, was well worth it. Once the leaves were given the chance, they were more than happy to release their flavours and subtleties. Despite the powerful (yet respectfully gentle) aroma that arose from the pot, the first initial taste was quite gentle and timid. Some green teas can be quite forceful when it comes to taste as they are young, vivacious, and full of energy but this first flush green tea was very humble and eased me into each subsequent sip. The flavours slowly built up, compounding on one another, until each layer of the leaves were exposed and the fully developed taste was revealed. Even then, the taste was not overpowering and required focus to enjoy the lighter and shyer levels. "The jade-green liquid releases a gentle vegetal aroma. In the mouth, the herbaceous attack is fresh and slightly sweet. The vegetal opening is full and followed by notes of green bean, cooked fennel and arugula in a gently unctuous stream. The finish is long in the mouth and mildly astringent with a remarkable balance between sweetness and strength"
Given that description, I find the tea to be quite a bit less vegetal than described but they do have a way with words. All in all, I can say without a doubt that this is the most luxurious tea I have had the pleasure of trying. Thankfully I was given enough for a few pots of tea and will be exploring the different angles of First Flush Dragonwell in more depth and with a calmer state of mind. I was excited for this batch and can't help but feel that this tea is to be enjoyed with a calm mind and a steady heart. I will be giving it another go this week (calmly) and will see what other notes it offers up. There hasn't been a substantial post in the past 2 weeks and I would like to apologize. For the moment, there will be a little pause in the frequency of postings and content (though I am in the works of one) since life has taken an unexpected twist for Al and I and our free time has very quickly dropped to zero. Don't worry though, I'm saving a colossal post for this weekend. Not colossal lengthwise, but colossal awesomewise! We were recently lucky enough to come by First Flush Dragonwell Tea from the West Lake Region in China. This was once a tea (up to last year) reserved for high officials and not made easily available to the public. I honestly never thought I would get to try such a revered tea! The goal of the little step forward is to be closer to our readers. Not everyone logs in to Blogger, but everyone logs into Facebook and we'd love to hear from you. You can look forward to announcements, discussions, and events; so make sure to 'like' us. In the meantime, here is my current tea wallpaper (click for full size). New pop-up on the Montreal Tea scene: U-green-tea! I was passing through the alleyway between Les Cours Montreal and Place Montreal Trust with my cousin Janet and we happened upon this new joint. "U-Green-Tea". Minimalistic and clean in design, the concept is simple-- serving tea like coffee. U-Green-Tea has 2 main tea bases: Japanese Matcha or Black Tea. The matcha is prepared in a large bowl and frothed in the traditional way with a Chasen (whisk). You can have the tea as-is, or in the form of a latte. The way the black tea is prepared is quite interesting as well as it is ground up like espresso beans and run through an espresso maker! You can have it like a shot in a latte or allongé or simply like a large tea. into a cup for a black-tea latte. I opted for a plain matcha the first time, and a matcha latte the second time. Janet got a black tea latte, as did Martin, during my second visit. How did I like it? Well enough! The other day I was sitting with some friends and though to myself, "Man. I could really use a matcha latte from U-Green-Tea right now!" The flavour was clear but not too strong, and I appreciated the process and natural ingredients used. Martin preferred the green-tea latte while Janet preferred her black-tea latte. Their most popular flavour right now is their vanilla matcha green-tea latte. The price was also reasonable. I think my large latte came in a little under $4.00. They're also doing a opening '2-for-1' after you buy your first cup, only 2,000 available with no expiry. I picked up a few and have promised to share them, so let me know if you want one. If you happen to go, you might see Jim or his sister behind the counter. I asked them what made them decide on doing tea this way-- Jim explained that this method of drinking tea is currently very popular in Japan and they decided to bring it here. They also have a bunch of delicious looking treats behind the counter, though I forget if they are tea-related. A cute selection of treats behind the counter. The only thing I think might cause an issue for them is the speed-- preparation is careful and precise (which I really do appreciate), though in this case also meant slow. The first time we went, there was no-one so we were served right away. The second time there were 2 couples before us and we waited a bit. If we were rushed for time we probably would have bounced. The place is very new so we'll see how they do! We definitely wish them well, as they bring something new to the Montreal-tea scene. Have you passed by and tried U-Green-Tea? How was your experience? Some of the strongest resistance I've encountered from people trying loose leaf teas surprisingly doesn't come from avid coffee drinkers (they know the value of quality), but instead comes from people who drink tea... ~gets on my high horse~ or should I say: drink tea made from tea bags. I digress, I won't get into bashing tea bag drinkers (heck, I do it too once in a while), but instead will present the facts plain and simple and let you decide. Multiple steeps (value): Consumers now a days are quite concerned with getting the most for their penny and saving where it counts. With the higher price tag on loose leaf teas, one would be inclined to save a bit and pick up bagged tea but in fact, I would like to propose that you would be loosing money! Tea bags do not provide great multiple steepings and are at most a 2-3 time use (3 is pushing it but I guess it depends how strong/weak you like your tea). On the flip side: some loose leaf teas can be steeped up to 6 or 7 times and, if you're really in it for value, the leaves can even be munched on after! Talk about value. Steep Control: A selling point for many products is presenting personal choice and having it "your way". Tea is no exception to this rule and loose leaf tea offers a great amount of customization in your cup. Being able to control the amount of leaves in your cup lets you control the flavour and intricate aromas. While you could argue against this and say that you have just as much control over aroma and flavour by playing with steeping time, I would have to disagree. Increasing steeping time increases the risks of releasing the bitter undertones, while keeping the steeping time the constant and increasing the quantity of leaves will simply increase the concentration of flavour without risks of ruining the brew. Knowing what you're getting: While the ingredient list on the box of bags can provide some insight to what is contained in them, ultimately knowing what's inside a tea bag relies heavily on faith. 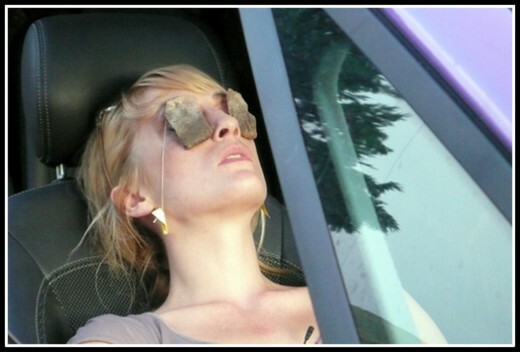 Tea bags contain a blend of leaves (and anything that might be included) and even if you open the bag and look inside, you won't be able to ascertain much more. Sadly aside from leaves, tea bags also contain a high proportion of stems (which do not contribute greatly to the taste) and I would dare say any unlucky little bug that made it's way through the cleaning process (don't spit out your tea, I'm sure it's very very minimal). Loose leaf, on the other hand, is fully transparent and exposed. You can smell and see the tea before committing to a cup. There is no hiding any stems or extras as it would be revealed upon initial inspection, steeping, or the after drink scrutiny. Before steeping, you can examine the leaves and determine the general quality off the bat (future post!). Once finished, you can examine the unfurled leaves for markings, rips, and consistency. You know what you are getting, and more importantly, what you're drinking. Closer to nature: Loose leaf teas are more natural and truly offer what I like to refer to as "The leaf, water, and you" experience. A quality loose leaf tea will have no added essential oils (you can determine this by looking for little oil pools floating on top) and will be prepared straight from the tea bush to your cup (some new tea chains popping up add essential oils to their leaves. watch out!). Tea bags are more synthetic and go through a longer process between being picked and being steeped. Being chopped up into little pieces exposed the leaves to oxidation and alters their original intended flavours. A Cooler Collection: I've never seen someone be proud of their tea bag collection...just saying. AND THE WINNER IIIIS: LOOSE LEAF TEA BY T.K.O!!! Don't get me wrong, bagged tea can be quite good and practical when in a bind. It is easier to grab on the way out the door in the morning, and less of a hassle to deal with (though you can always bag your own tea). Some of the 'classier' brands offer quite passable and pleasant tea experiences, but I still prefer a loose leaf to a bag any day. If you haven't already tried loose leaf, send me an email to martea.blog@gmail.com and I'll be more than happy to send a little sample your way along with a little how-to guide. A quick thought occurred to me! If ever you would like to sample the teas we talk about on the blog, send a quick email with your name and address to martea.blog@gmail.com and we'll send over a little sample so you can taste the experience with us! So here it is, finally the last post of the tea family. After two months (whoa! ), we are going to get to know the youngest of the tea siblings: green tea. Unlike some other types of teas, greens teas are produced in many countries and with a variety of techniques and conditions, giving each cup a personality and unique aspect. Green teas are known to come from China, Korea, Vietnam, and Japan and though the basic 'no fermentation rule' is shared, teas from each country can vary greatly. A future post will explore the different techniques used by these countries in picking and preparing green teas. The style of green teas varies greatly depending on its region of source so do not be surprised when you see a variety of shapes and sizes, some even resembling other types of teas. 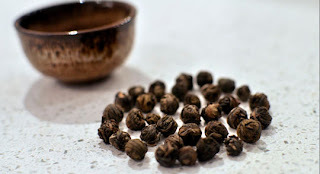 Green teas can share the sparrow-tongue shape common to white teas, be spiralled + compressed + crimped, or even rolled into little pearls (such as Jasmine tea discussed in Als' post). Not only do the styles vary greatly, but quality does too and knowing what you are looking for when buying a green tea is critical to enjoying a perfect cup. This applies not only to green tea, so expect a Buyer's Guide post to be out soon, full of little tips about buying teas, questions to ask, and the quality scale of each type. How does one enjoy the perfect cup of green tea? Let's say that you are lucky enough to get your hands on a first spring pluck, pay extra close attention not to ruin the tea during steeping! Since green teas are young and delicate, they like their baths to be a comfortable temperature (unlike the scalding baths of black tea). It is recommended to use water that is brought down from a boil and allowed to cool before steeping the leaves, but I will take this advice one further. Use water that is just under a boil and allowed to cool as I feel that boiling the water can change it's tastes and how it interacts with the leaves. I found an incredibly interesting guide to visually tell the temperature of water and I will make sure to post it up. 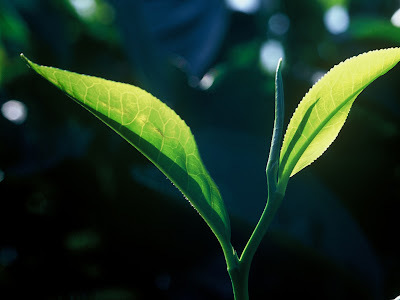 If the water is too hot, the leaves will be burned and bitter as opposed to the hidden sweet qualities that green tea will shyly reveal. Depending on the country of origin, green teas require different temperatures and different amounts. Green teas offer 1 to 3 steepings with a steeping time ranging from 90 seconds to 2 minutes. You can arguably try for more steepings and I promise that the tea police will not knock on your door. I will admit that with particularly young and soft leaves, I've been known to eat a few leaves after I finished my brews. In fact, it is for this reason that my tea teacher in Taiwan nicknamed me the Canadian Cow (Jianada niu)...you might laugh, but it is a habit that quickly caught on with both my fellow students and the teacher as it is a surprisingly good way to tell the quality of the leaves! So it's been awhile since we've had a post. Martin's been quite busy and has just returned from vacation, me on the other hand-- I guess I have no good excuse. :) I've been meaning to write my first 'tea' post for awhile. Here goes! A great tea to start with for people new to Asian teas is Jasmine. Funnily enough, Jasmine is not actually considered tea. Jasmine is actually another tea (usually green) which has been "infused" or "scented" with the jasmine flower. Jasmine tea has a very light, slightly sweet taste, and is highly fragrant. It's a wonderful soothing/relaxing any-time tea. Jasmine comes in different forms. If you've had Jasmine, you've probably tasted it from this particular tinned-brand. It is the typical tea served at Chinese restaurants (if you haven't specified which tea), and can sometimes can be found in grocery stores. Don't go on your restaurant experience, though-- oftentimes they serve it so watered-down you can't taste a thing. Another common form in which you'll find Jasmine tea is rolled into small balls often referred to as "pearls". Martin and I recently picked some up in our Montreal Chinatown, on the corner of Rene Levesque and Clarke-- This small tea shop, simply named "Thé / Tea", and owned by a Mr. Lau has a nice collection. We picked up 100g of a medium-high grade of Jasmine tea for about $9.00. The pearls after steeping-- not fully unfurled yet! We need to buy some white cups so that you can see the colour! 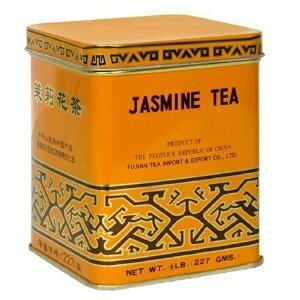 Jasmine is usually made with a green-tea base, so go with a similar temperature. Different teas are better steeped with the proper temperature water. Green tea require the coolest temperature at around 80°C. Boiling water will burn the tea and won't give it the right taste (it'll make it bitter), so if the water's been boiled, just wait 2-3 minutes for the temperature to go down a bit before pouring. If it's your first time drinking tea, I wouldn't go too strong-- about 3-5 pearls to a cup is probably enough. In a pot, you can probably drop 10-15 pearls. You can re-steep maybe 3-4 times before the flavour is completely released. Also! One of the greatest parts about re-steeping teas is that for many teas, this is how you get the full experience. Each steeping will uncover a slightly different layer of the tea's taste. Don't worry about leaving the pearls in the cup if you're just drinking yourself. They'll naturally sink to the bottom when they unfurl. Do you remember your first loose-leaf tea? How was your experience? For this post, we will be taking a quick breather from the tea family and will be doing our first review! I happened to come across pictures on my phone today and got flooded with memories, tastes, and experiences from a wonderful little tea house in NYC. Cha-An was first discovered by Al when she went down to NYC with a few friends. Though her passion for tea was not fully developed at this time, she thought of me and ventured in. Needless to say, it left a lasting impression and I made sure to go and experience it first hand when we visited New York this past winter. New York is a bustling city, full of traffic, noise, crowds, and smells and so when a refuge is found amongst the chaos, it's hard to resist. Located at 230E 9th Street, Cha-An is no exception and immediately embraces you with a calming silence, comforting surroundings, and tantalizing aromas the moment you climb it's stairs. When you reach it's first landing, you are instantly transported out of New York and arrive to a quaint Japanese alleyway tea shop. Right away you notice the walls are lined with many selections of quality teas, the counters populated with steaming cups and tea pots, and smiles are resting every client's face. After a ten minute wait, we were shown to the one free table and handed nicely crafted, simple menus depicting the numerous choices of tea and tea related delicacies. Delicacies? Oh yes, delicacies. Al and I had trouble deciding and so we settled upon the chef's menu comprising of several incredible desserts accompanied by a tea of choice (in this case a Dong Ding oolong) to which Al added a mach latte with red bean. The food and drinks arrived quickly and Al quickly realized that her matcha latte was no laughing matter as it came in a bowl sized cup filled to the brim with foamy, green matcha. Though I do not usually have matcha, this one was too tantalizing to resist and proved to be a delightful mixture of sweet red bean and bitter green tea. One thing that I immediately appreciated was the presentation of our oolong. Unlike some places that give you the tea pre-steeped (or currently steeping), Cha-An respectfully presented the tea and all it's required tools separately. Though this is not uncommon for a tea house, I was surprised that they included a 'smelling cup' which is a cup made to (obviously) smell the subtler and gentler aromas of freshly steeped leaves. Though I have used one before in several tea classes, this was the first time that I was given one when ordering tea. The dong ding oolong was very enjoyable, pleasant, and mouth watering. It had a full bodied taste and was almost sweet with very little after taste in a good way. You tasted it when you wanted to but it did not interfere with the pastries. In fact it's very light aftertaste complimented the selection of delicacies perfectly. 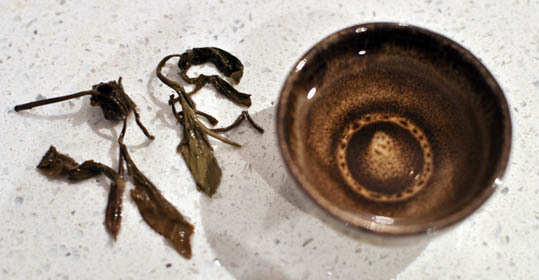 After enjoying a few steepings, I examined the leaves to find that they were of good quality. No tears or discolouring, large & intact leaves, and very soft (chewable) leaves. The incredible desserts would merit a blog of their own, but as we are here to discuss tea, I'm going to let you imagine and drool over the pictures! All in all, Cha-An was an amazing experience and I regret not having enough time to go back and try their wider selection of teas. I also learned that waiting 58 days to write a review is not the best idea, but if anything, this truly proves how memorable the experience truly was! Next time, continuing and finishing the tea family introductions. I'm Al (short for Alexandra). While I have written things like personal journals or small ramblings to no one in particular, this will be the first time I write about something for a specific audience and with a purpose. Martin and I have discussed at length different things to write about for this blog, but one thing we both agree on is that we'd like to introduce people to experiencing and enjoying tea. I have grown up drinking tea in my family and pretty much drink tea every day at all different times of day and night. Even so, I am always exploring and trying new teas and learning new things about tea all the time. I would like to introduce tea at a very basic level to people who have some interest but have no idea where to start. 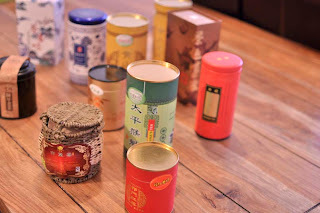 At the same time, Martin and I will probably roam around town and check out different places that are selling tea and tea related product that we can later review for you to try too. :) In case you're not already a friend of ours and you've happened to stumble on this blog through some other way, Martin and I are from Montreal, Canada. The winters here are long and can be unforgivingly cold. It seems appropriate then, that there are some great home-grown tea startups and tea houses from here including names such as David's Tea, Camelia Sinensis, Cha Noir, My Cup of Tea, and others... Reviews on aspects of these companies/shops are definitely going to come soon. What are you interested in hearing about in the future? As promised, we are continuing on with the tea family and being introduced to Black tea, the second eldest sibling. There is no easy way to begin such an introduction so we are going to jump right in and ignore the pleasantries. Black tea is serious business and isn't afraid to show it with its 100% oxidation. It's a strong confident tea and has every right to be considering it is one of Europe's most loved and most commonly drank teas. It is India's tea of choice and even extends his reaches to North America when it is used to brew both hot and iced teas. He has no shame being combined with milk and sugar and provides a comforting, yet confident flavour. He is quick to boast about such accomplishments but is elusive when confronted with the fact that he is China's, Japan's, Korea's, and Taiwan's least consumed tea. This shameful flaw is not without a slight sense of irony as China produces some of the most pleasant and enjoyable black teas. Black teas are an odd bunch as they can range greatly in quality, leaf types, and preparations. To give you a brief idea, black tea exists in four basic groups: Blended teas, seasonal teas, single-estate teas, and self-drinking teas. Blended teas are teas such as Earl Grey or Ceylon Breakfast blend and are immensely popular. Being somewhat of a tea purist, I tend to frown upon blended teas...an act, I must admit, that is slightly naive and stupid. Blended teas can be some of the most enjoyable, flavourful, and unique types of teas when created by the hands of a skillful and passionate blenders. The secret is combining the right proportions of teas to bring out and accentuate various qualities and aromas. Come to think of it (and as I mentioned in my first post) my first introduction to loose-leaf teas was an incredible blend of Earl Grey! That being said, I do prefer when it is just me, the leaves, and water. Seasonal teas are quite self-explanatory and are not unique to black teas. They are teas that are produced during a specific seasons, and as such, have unique qualities. Single-estate teas are much like a good scotch and are pure teas from a specific farm. They remain unblended and true to their roots. Because of the large varieties of black tea, it is hard to recognize the loose leaves at the drop of a hat (with the exception of blended teas which contains lots of bits of shredded leaves and stems...depending on the quality...coming up in a future post). Black tea leaves can be distinguished by any of the following: curly, broken, granular, wiry, rolled, or spiral shaped. As you can see, not as distinctive as rolled oolong! What black tea lacks in loose leaf appearance, it more than compensates with flavours and aromas. A good steeping is often very aromatic and full bodied, some many be reminiscent of nuts and freshly-rained-upon-earth, while others may be have a sharper, coppery, spicy, or smoky personality. Either way, it will not be easily forgotten. An interesting aspect of black teas is that it does not shy away from additions to it's brew. Unlike lighter teas which would be ruined by the addition of anything, black teas invite milk, sugar, honey, or even lemon to join the party. Most people prefer to add sugar and milk to help with the natural astringency present in black tea (due to the fermentation) but surprisingly, adding a touch of lemon will help to accentuate the astringency and introduce you to a whole new experience. Being such a broad type of tea, precise steeping instructions do not exist as such but the following will start you off on the right foot. Once you experiment with different types of black teas, you can adjust according to your tastes and preferences. 2 tablespoons for 6 ounces of water at around 195F (91C) will push you in the right direction. Like white teas, I am not as comfortable and familiar with black teas as I would like. It is a personal goal of mine to venture into the world of black teas and come to appreciate them as I do a nice cup of green or oolong. Do you have any to recommend? This post is about introducing a new blogger, co-writer, and tea enthusiast. Readers, meet my tea loving fiancée, Al. Al will be helping me with new writing new material for our blog as well as reaching out to fellow tea bloggers in the internet community. Though we have slightly different ideas of where to take this all, I am sure she will bring a fresh and new perspective to mar-tea and is sure to bring good content and input. While I would like to continue to concentrate on the 'basics' of tea, Al would like to start reviewing and sharing her (our) tea experiences as we enjoy both, old classics and new experiences, in the tea world. Quite honestly, I had hoped to be reviewing and describing teas by this point of this blogs life, giving the ins and outs of tea drinking, good buys, and interesting finds. I then started writing about the basic building blocks of tea and what a can of worms that has been! It's difficult to know when to stop, when to pull back from the cold hard information and start mixing in opinions and when to open the door to discussions relating to preferences, methods, and tastes. I still believe I should finish with my tea introductions so that new teanions will have the basics when we go more in depth into different varieties of tea and the subtler flavours. At the same time, I think it will be great to start sharing our experiences and mix up the blog content a bit as well as generate discussions. So stay tuned for future posts from Al and I and remember that we are always open to feedback! Steep away and be happy! I'll see you guys later this week with a full-fledged post. Unfortunately, this week is quite busy as well and a detailed post about the next tea sibling will take a bit more time than I have. This is not to say that it has not been started, simply that it will take a bit more time and I would not want to keep my teanions waiting. Despite my love for tea, I admit that I have difficulties properly expressing and narrowing down what I am tasting (this inability expands to more than just tea...). This is where the tea flavour wheel comes in. This wheel is divided first into the main base flavours and slowly splits itself down into the more subtle and specific undertones. 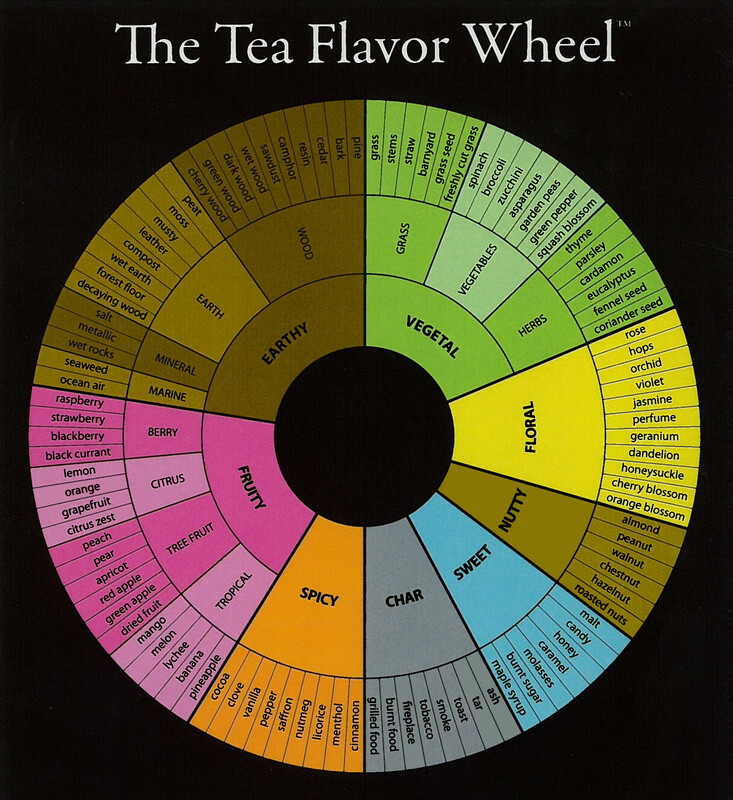 This really helps me narrow down and classify the many flavours and aromas I encounter when drinking tea. I wish the wheel had a bit more progression and linking between the categories but I must confess that it is a great resource. I still feel slightly confused when trying to distinguish some of the outermost ring, but it is a great starting point. As you can tell, it is not strictly reserved for teas as there seems to be some serious tisane flavours included as well...unless someone knows of a tea that has pineapple undertones? I truly wish I knew where it came from but it is an image I saved long ago for a post just like this. If anyone knows, please let me know so that I can give the proper credit. First off, apologies for taking a week hiatus; I was swamped (to say the least) with work. Nevertheless, I thought of my next article and here it is! If you are looking to showoff to your friends about your knowledge of tea, then look no further; oolong tea is the way to do it, and luckily for you, it is today's topic. So bust out your leaves, put the water on the stove, and get ready to learn about one of the most revered & sophisticated teas in the world. Oolong is a tea produced solely in China and Taiwan and, unlike Pu-Er teas that are specific to one region, are produced in a wide range of conditions and climates and with a wide range of picking and preparation techniques. This is precisely where the magic in oolong lies. The lack of standardization allows oolongs to be incredibly diverse and cover a very wide range of flavours, aromas, colours, and tastings experiences. They can be closely related to green teas (0% oxidation) with as little as 12 percent oxidation, or can be shoulder to shoulder with black teas reaching as high as 80 percent oxidation (ok, black tea is 100% oxidation, but they can almost be shoulder to shoulder!). This wide range of oxidation (combined with picking & preparation techniques) makes it so oolong spans the entire range of the tea family and contains hints belonging to other types of tea. Although Pu-Er tea holds the "most complicated tea to study" award, a well rounded knowledge of oolong tea is incredibly respectable and even holds a certain level of class and prestige among tea experts. One intriguing aspect of oolong lies in the appearance of it's leaves. Upon first glance, they look unremarkable and may even look slightly worn compared to green tea leaves, upon second glance, they can look just as unappealing. A third glance will not chance that, nor will a forth or fifth or even a sixth. Remember that oolong is caught in it's own world lying between green tea and black tea. This means that it's leaves can greatly range in appearance; from a fresher looking green to the older heavily fired look of black tea. Beauty pageants aside, oolong tea leaves really show their hidden qualities when they are allowed to release their aromas and flavours in right temperature of water; this is it's greatest source of pride. Oolongs are incredibly layered, meaning their flavour changes and evolves with each subsequent steeping. Each steeping peels back a flavour layer and reveals an ever enriching & changing aroma. They are known to be earthy (though less so than Pu-Ers & Black teas), aromatic, smooth, and sometimes, sweet teas. As if they were not complicated enough, oolong exists in three basic categories: strip-style, open leaf-style, and semiball-rolled style. Strip-style tends to be more oxidized (between 50-80%) and are heavily roasted. As their name implies, the leaves are long, complete, large, and gifted with a slight curl or twist. They tend to have stronger flavours (earthy, almost fruity, with lingering aftertastes) and occupy a small range of colours (deep earthy brown to a ashy-flint like grey). This type of Oolong is specific to China and not produce elsewhere, unlike the next type which is produced solely in Taiwan. The last general type of oolong bridges the gap between china and taiwan and is produced by both countries. This is the most recognizable type of oolong as it is a leaf rolled into a ball with the stem still attached. From here, it gets a bit more complicated as they can branch off into two categories: the older, more traditional style of oxidation, or the more recent modern style of oxidation. The former often has ranges of 35-65% oxidation and is slightly roasted which imbues the tea with a honey like quality. It's colour range starts from a light brown, progresses through a shade of amber, and finishes with a reddish, woody brown. Though the modern style has some similar appearances, it differs slightly, both in oxidation levels and in overall aroma. It's oxidation levels range from 25-40% and it is only slightly roasted to preserve the floral and light undertones. It's colour is quite different (due to both the lack of roasting, and oxidation) as it is on the green side of things; ranging from a gold-green to a deep jade-like shade. As was the case with Pu-Er, I could go on and on for another few pages. Sadly, I think this would defeat the point of a general introduction so I will expand on oolongs (what to look for when buying, preparation methods, and more facts) at a later date. I will simply end with how to make the perfect cup of oolong so that you may start enjoying steep after steep between now and then. Oolong is much less forgiving than Pu-Er (and even then some experts would have me lined up and shot for saying Pu-Er is forgiving). To make a good, relaxing cup of oolong, you have to use a generous amount of leaves (2-3 tablespoons per 180ml of water (6 ounces))....(those should really be measured in teaspoons in my opinion...). If this seems like a lot, feel free to play with what is right for you, however I beg you not to worry, running out of tea simply means it is time to explore and try a new variety. The water temperature starts at around 82C (180 F) and can go up to 93C (200F) with slowly increasing temperatures. It is recommended to do a first wash of the leaves (quickly pour the hot water over the leaves and pour it out immediately to quickly replace with new water to start your first steep). Depending on the type of oolong, steeping time should range from 10-60 seconds for the first infusion, 15-65 seconds for the second, and 20-70 for the third. It can be steeped up to 8 times though the steeping time should be greatly increased for the final few steepings (add 30 seconds or more) and the water temperature should be brought to its maximum of 93C. There will be a follow up post to Oolongs, but I would first like to make my way through the rest of the tea family. First of all, Happy New Year and apologies for overall lack of posting over the break; I was surprisingly busy. That being said, it was not a complete waste of two tea-weeks as I had some great tea experiences that I am saving for future posts. For the moment, I will be continuing with the Tea Family and it's eldest son: Pu-Er. Pu-Er is a very special type of tea as it breaks away from the typical idea of tea. Unlike other tea varieties, Pu-Er is solely produced in China (south-west of the Yunnan Province to be exact). Though it only comes from one region, do not assume that Pu-Er is a limited-variety type of Tea as you would be completea wrong. One could spend a lifetime exploring and discovering the world of Pu-Er teas and still find new flavours and types among the collections of Old (Vintage) Pu-Ers, Young (New) Pu-Ers, Shou Pu-Ers (artificial fermentation), and Sheng Pu-Ers (natural fermentation). Though Pu-Er has a very wide range of varieties, it's appearance does not vary much. People new to tea are surprised to discover that Pu-Er tea is often sold in compressed disks; a very unothordox way to present tea (shown below). Though it is not uncommon to have loose leaf Pu-Er, the compressed disk is the most common shape and presentation. To mix things up a bit, other shapes such as domes, rectangles, and little coins are used as well. Why the disk (or equivalent compressed shape)? Pu-Er tea is often stored for long periods of time and the compressed shape allows large quantities of tea to be stored, and transported, very easily (though it can be very heavy). When it is time to be steeped, it is very easy to chip of a chunk of tea with a knife. Just like yogurt, cheese, and bread, Pu-Er tea exists thanks to a collection of bacteria, fungi, and molds found in it's native region. Do not be so quick to scrunch your face in disgust and put down your cup of tea, the bacteria simply help the tea leaves to ferment and give the tea it's aged earth undertones. How does one unlock the many hidden qualities of Pu-Er tea? With the perfect steep. Though I mentioned that Pu-Er tea is the most forgiving type of tea when it comes to water temperature and steeping time, this is not to say that we can do whatever we want with it, it simply means that it is quite difficult to 'burn' the tea leaves, or over-steep the leaves to a bitter end. Should we wish to experience the full character that is Pu-Er, we should still pay close attention to the conditions that bring out it's full potential and many sides. Pu-Er requires the hottest water among it's tea siblings as the water used should be just off the boil. Infusion time depends on what steep you are about to enjoy. Generally, the very first infusion is a quick rinse of the Pu-Er tea (pour water over the leaves and immediately pour the water out). As Pu-Er tea is well aged, this helps to get rid of any dust or impurities that might be present during storage. A particularly old Pu-Er tea should be rinsed twice. After the first (or second) wash, the steeping times range from 25 seconds (from the first real steep) to 60 seconds (for the eighth steep) in 5 second increments. Believe it or not, a ninth steep is possible if the tea is left to sit for 90 seconds. As you can see, Pu-Er tea has quite some milage. For those who find numbers a bit confusing, the table of times is below. I am starting to realize that a single post of Pu-Er could go on for pages and pages and as such, I will stick to a basic introduction today, saving the more detailed information and anecdotes for a later expansive post. One last thing to add for tonight's post is about Pu-Er grading and quality. Like all it's siblings, Pu-Er's quality is heavily influenced by the age of the leaf. 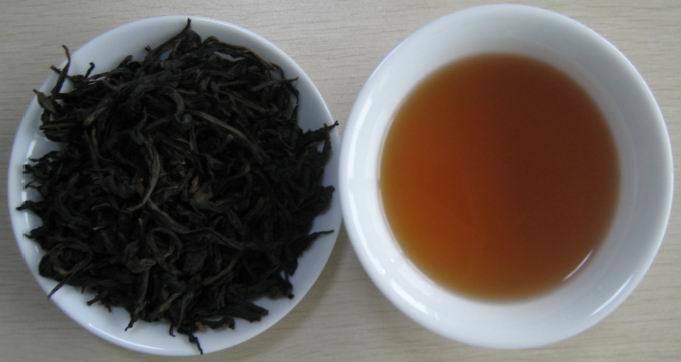 The largest and eldest of leaves (picked late in the season) yield grades of around 9 or 10 and are the most common when buying a disked shaped Pu-Er. As the leaves get smaller and younger, the grade (and quality) rises higher and higher (as does the price). Averaged sized leaves (and not too old) will offer a grade of 5 or 6, while the early spring buds (and shoots) will give the highest grade of 1 and 2. I hope to be able to appreciate (as in taste) such a quality tea one day. Though I could go on and on about Pu-Er, I would like to save that for a later date and first finish the basic introductions of the Tea Family. Having a basic understanding of each type of tea will give a greater appreciation of the wonderful and unique details later on. To hold you off on your Pu-Er fix till then, I recommend that you go out and buy a basic Pu-Er and try it out! A disk should cost around $35 which is not too expensive considering the large amount of tea you are getting. Be sure to only break off a small chunk at a time and enjoy!